It’s the freaking Catalina Wine Mixer! Aka it’s the One Room Challenge! We’ve got quite a few seasons under our belts, and we’re back and excited to take on a new challenge! We’re participating as a guest in this fall’s ORC, which is a 6 post series on making over any space, hosted by Linda at Calling it Home, where updates are shared each week! 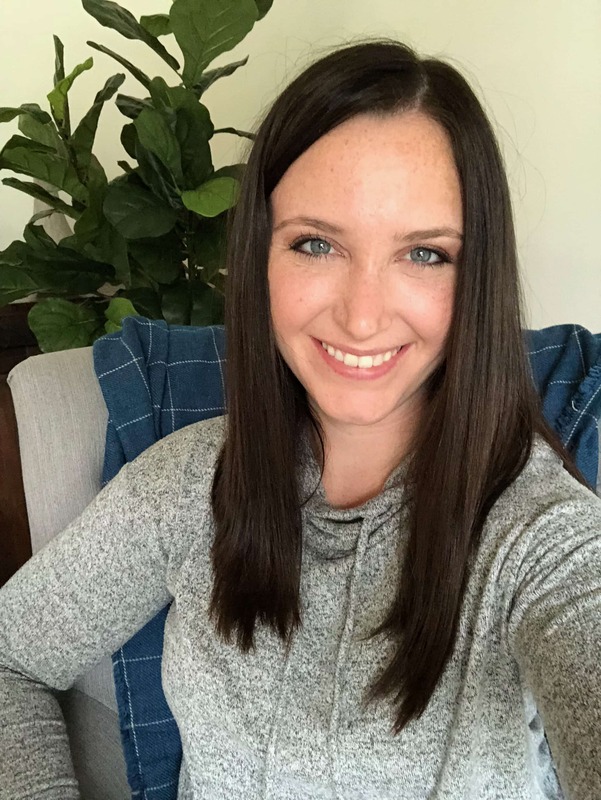 Six posts over a few weeks may not sound like much, but the work that goes into these rooms is amazing and I love following along with all of the other participants and designers! As the title has probably already spoiled, this time we’re tackling another nursery. 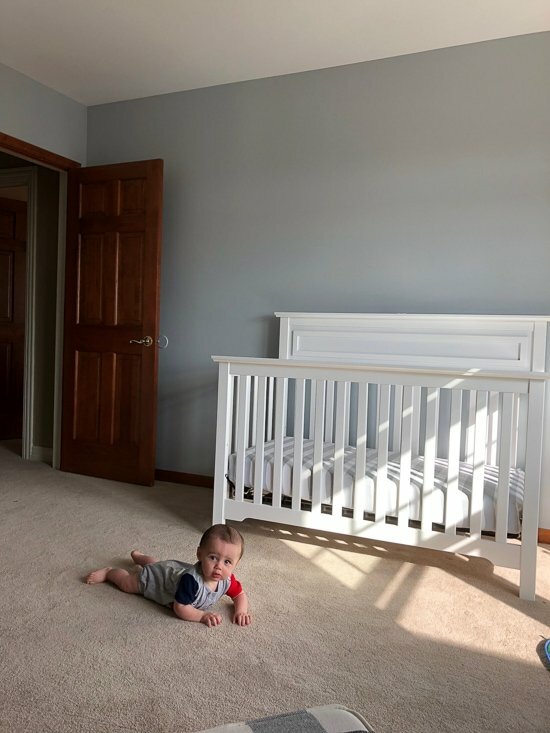 We LOVED how our last one turned out, but since we’ve moved we’re starting back at square one, and are putting a new spin on our little guys room. Let’s start with the before’s of the space to get an idea of what we’re working with. We’ve got some blue walls, a basic fan and lots of wood trim to work with. While we do have our little guys’ existing furniture, the rocker was damaged in the move and has two huge holes in it. Thankfully, we have a few fun sponsors lined up and they’re going to help us solve some of those problems! 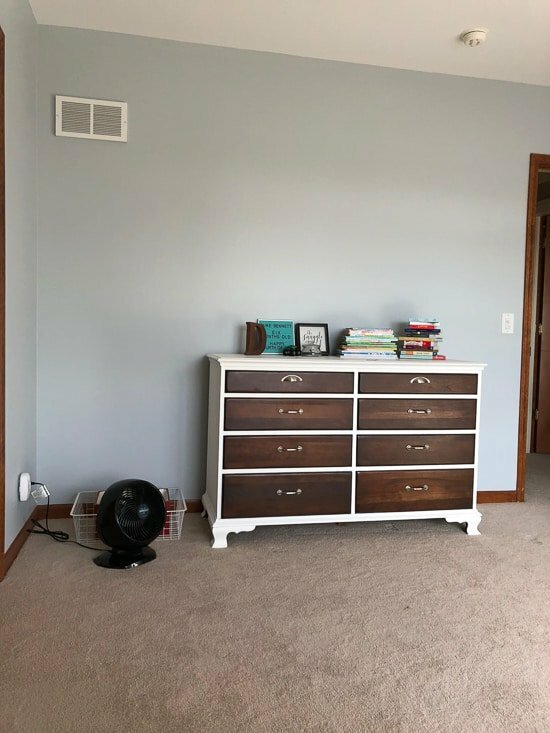 I’ve gone back and forth so many times on what I want this room to look like, if it’s similar to his old room, or if we should completely change it up, and I think I’ve found a happy medium! After seeing an amazing inspiration image from Studio McGee, we decided to keep the black and white theme from the buffalo check, but use it within the trim work instead. In his last room we had a slight nautical theme, where in this one I want to add some old sports accents. SO much to explain and describe about these plans, but I think I’m going to keep it simple and share a little bit each week to keep it more fun! We’re also going to be doing this in real time (as in the room looks like that as we speak, and we’ve got a lot of work to do!) 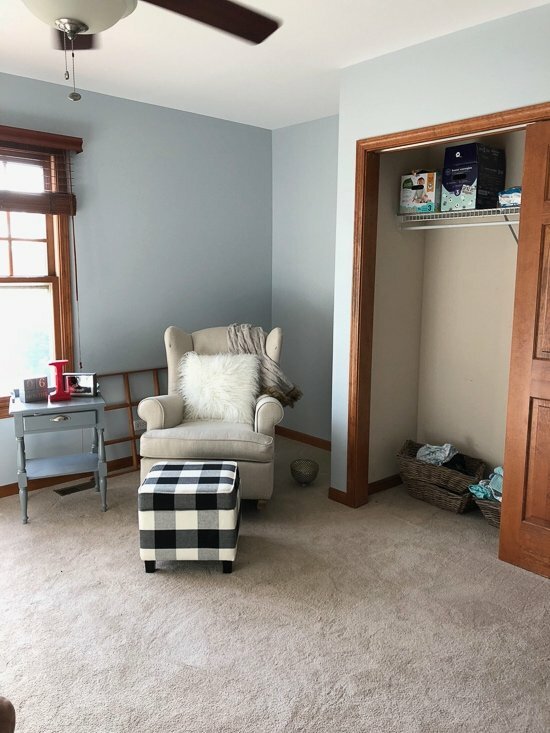 There’s a little reading nook, some amazing dark trim work I have to start to tackle, and a lot of shopping for some old sports themed accents that has to happen. Be sure to stop by each week for all of the updates, and go check out all of the other amazing rooms before you go! See you next week for some (hopefully) great progress! Love the mood board!! 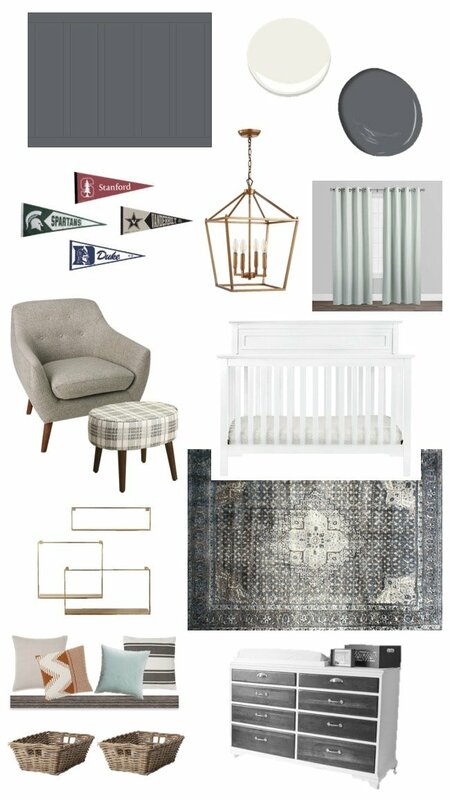 I am still working on my son’s nursery and trying to find that balance of boyish, classic, fresh.. it’s hard! Can’t wait to see yours! It’s definitely a challenge! We wanted something that could grow with him but still be fun as well. Hoping it turns out like what I see in my head ha! Your design plan looks wonderful! I’m looking forward to following along! OMG! The wainscoting in my office is the same color as your mood board! Him looking at the camera gave me all the feels. I’ll be following along, can’t wait to see how this turns out!